An individual or a company can create a local presence in any of the available countries in the global database. Calls to the virtual number will then be diverted to the phone number of choice, to any local or international phone number. The designated ‘ring to’ number could be a company headquarters phone line or a call center in another country or the same country or your mobile phone located anywhere on the planet. 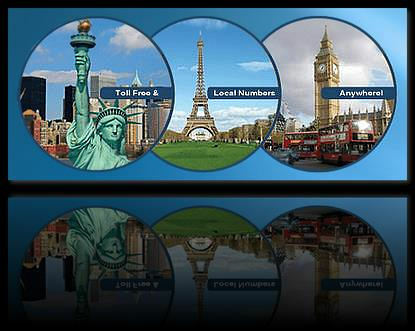 International Call Diverting Service enables local or toll free numbers to be set up in the country of choice or specific cities within those countries. Enterprises that do business internationally utilizing International Call Diverting, also known as an international call forwarding service, enjoy this solution for creating easier communications with their prospective new customers or for existing customer service call centers. 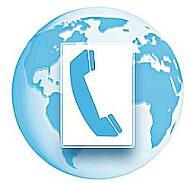 Many global businesses rely heavily on their international virtual number. Using a Call Diverting Service and virtual number in the locales where your customers are located, or to do more business from that country, -call diverting can be a quick remedy and a valuable collaboration tool. Call Diverting service is designed mainly for an enterprise to create a virtual phone presence by acquiring a local or toll free number in a specific country or geographical target market. These local or toll free numbers act as a new local point of contact and divert incoming calls to any phone number in the world. It works essentially as an international virtual number. For instance, an enterprise may have their main office located in Spain but desires to create a local phone number in many international cities such as Brazil, Mexico, UK and Canada.The customer that use an international virtual number may already have customers in those countries or may be reaching out to potential new customers in these countries. For the example above, upon virtual number activation, the calls made to these numbers in Brazil, Mexico, UK and Canada will be immediately diverted to the Spain headquarters, the number which is designated to receive the inbound calls from a virtual number via a Call Diverting Service. Consequently the call quality is predictably dependable and clear. The call diverting service does not rely on the Internet for call transmission. Providing your customers with a local or Toll Free virtual number in the callers country, simply removes the long distance obstacle your caller would face if you did not provide a local phone number for them to call from their country.